Commonly speaking, a mortgage is a loan used to buy real estate. The property acts as collateral for the loan, meaning that if you fail to pay back the loan, the lender can legally take ownership of the property. As with all loans, a mortgage is not free. In exchange for lending you the money, the lender receives interest, which is charged as a percentage of the loan. But how mortgage rates work, how interest rates are determined, and how you can find the best mortgage rate for you, may be questions you need answers to. Read on to learn all you need to know! The interest rates on mortgages are based on the same factors as the interest rates for all other loans, starting with a benchmark rate based on the 90-day Treasury bill, which is basically a loan issued to the U.S. government for a 90-day period. The 90-day T-bill is used as the standard because of its extremely low default rate. Other factors that are used to determine the interest rate of a loan include the rate of inflation, the default risk, the length of the loan, and the liquidity of the investment. These other factors increase the interest rate, or the cost of obtaining a loan, above the benchmark 90-day Treasury bill interest rate. As to mortgage rates specifically, the rate is largely dependent on mortgage-backed securities. Mortgage-backed securities ("MBS") are used to minimize the risk of lending money via mortgage by bundling a pool of mortgages together through a process called securitization. An MBS can be sold and traded more easily than a single mortgage by itself. MBS prices have a significant impact on current mortgage rates. An MBS is much like a bond. Therefore, when the MBS prices go up, the interest rate on mortgages generally goes down. Conversely, when MBS prices go down, interest rates go up. Thus, although many people believe that mortgage rates are determined by the Federal Reserve's Federal Discount Rate (the "fed rate" you hear about on the news), this belief is incorrect. The most important figure to monitor to track and predict mortgage interest rates is actually MBS prices. 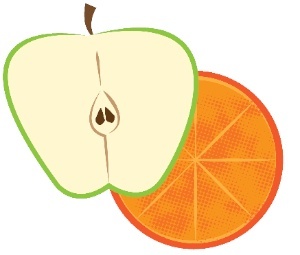 - Always compare apples to apples and oranges to oranges. As discussed below, there are different types of mortgages, which have different advantages and disadvantages, and therefore, usually have different interest rates. You need to make sure that you are comparing the same types of mortgages to each other in order to evaluate them properly. - Understand the importance of APR. Lenders must quote you an Annual Percentage Rate ("APR), which measures "the net effective cost of borrowing." In other words, Lender A could tell you the mortgage rate is 3% and Lender B could tell you their rate is 4%, but because of the terms of each mortgage, the net cost could end up the same because of "points." In mortgage-speak, a point is a fee paid at closing that is equal to 1 percent of the loan amount. Points can be paid to reduce the interest rate of the loan, and are factored into the APR. Thus, in the previous example, Lender A's rate could be contingent on the payment of points, while Lender B's rate may require no points. - Consider your circumstances. If you plan to move in a few years, or don't have much cash on hand, you may not want to pay any points, even for a lower interest rate. On the other hand, if you plan to stay in the new property for many years, and/or you have a lot of cash in reserve, paying a point or several upfront may save you a lot of money in the long run. Because of your circumstances, you cannot compare mortgages just on the basis of APR alone. - Verify that the lender has your correct information. Mortgage offers are generally made based on your credit history and credit score, as well as information you've provided to the lender, such as verification of your income. However, if one lender received incorrect information regarding your credit history, their offer may differ from that of a lender who received the correct information. To find the best mortgage for you, you'll need to consider all of your circumstances, including which type of mortgage is right for you. The type of mortgage that generally comes to mind when you hear the word "mortgage" is a 30-year, fixed rate, amortized mortgage, which is be paid back over a 30-year period, has a fixed rate of interest, and is amortized over the repayment period. Amortization means that the monthly payment over the life of the loan will be the same, but the vast majority of the early payments will be applied to interest and not the principal. Common variations of the the traditional 30-year, fixed rate, amortized mortgage include fixed rate, amortized mortgages with a shorter term, such as 15 years. There are also adjustable rate mortgages ("ARM"), which have a lower interest rate at the beginning of the mortgage, after which the interest rate can fluctuate. If the interest rate goes up, so will the amount of the monthly payment that's due. ARMs may or may not be amortized. A "hybrid" mortgage is one that starts off like a fixed rate mortgage, but then converts to an adjustable rate mortgage after a certain number of years. Hybrid mortgages are typically amortized. There are also "interest only" mortgages, in which the borrower pays only the interest on the loan for a set period of time, with larger payments or the balance of the loan due once the interest-only period is over; "balloon" mortgages, in which the initial payments are lower but the entire balance of the loan is due after a certain amount of time; and "reverse" mortgages, which allow senior citizens to borrow money against the equity in their home. 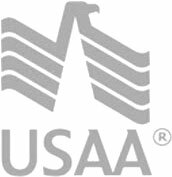 Other types of mortgages include Federal Housing Authority Loans, which help qualified buyers obtain a mortgage, VA loans, which are an option for eligible military personnel, and jumbo loans, which are mortgages with a higher balance than generally allowed. The remainder of this series will further explore mortgages, including more about interest rates, how the economy affects rates, and identifying the best mortgage for you.